In celebration of St. Francis Sunday, Global Catholic Climate Movement and Caritas Poland launched a groundbreaking series of events in Poland. The events, called an “ecological awakening,” were carried out simultaneously in four cities: Kraków, Gdańsk, Poznań, and Toruń. 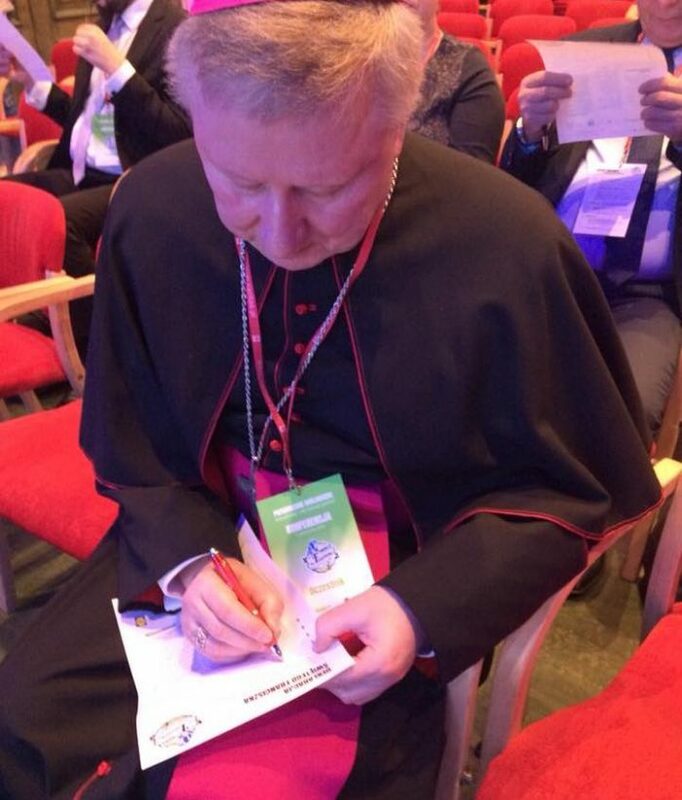 The events featured the Minister and Vice-Minister of Agriculture, the bishop of Gdańsk, the coordinator of the Commision on Justice, Peace, and Integrity of Creation for UISG (the world’s largest group of women religious), and other leaders. The leaders called for action to reduce food waste and its related greenhouse gas emissions, and discussed specific policy proposals to achieve goals. Leaders publicly signed a Global Catholic Climate Movement-sponsored St. Francis’ Pledge, which commits signatories to reducing food waste. The pledge was signed by Michał Kurtyka, Secretary of State in the Ministry of Environment and the President of COP24, and by the assembled leaders. These events were inspired by the Church’s ongoing commitment to caring for our common home, with a special emphasis on Laudato Si’. A video on creation care from Pope Francis was translated into Polish and shown at all events. Outside the conference halls, parishes around Poland were engaged. Volunteers distributed country-specific information about food waste in churches and collected signatures for the St. Francis Pledge. These events demonstrate that Catholic leadership in Poland is making important progress towards caring for creation and all who share it.